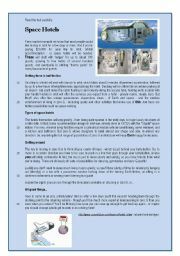 Test about Space hotels. 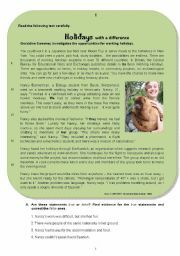 Comprehension and some grammar exercises. Rephrasing and written production. Editable. 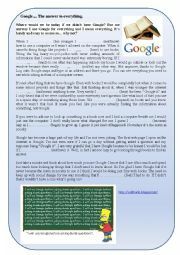 It´s an up-to-date text about researching the internet for school works.It´s very useful, and you can use it as a test and add many other things. 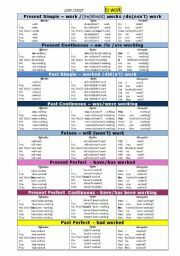 This is the MUST HAVE every student needs to know about verb tenses. It´s the regular verb "to work" in the present, past and future tenses. You may change to any other verb you need, i.e. an irregular verb. Enjoy! 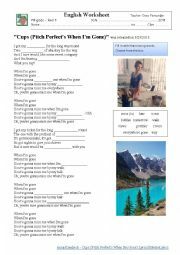 End-of-the year test with verb tenses among other grammar exercises. Enjoy! 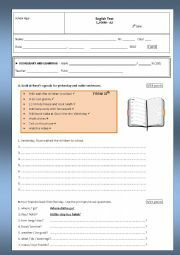 I used this worksheet to revise the Past Simple and the vocabulary about Teens problems. It is based on the Coursebook Move on 9th grade from Texto Editora, but I changed many things, as I needed to adapt to my students and to the theme. Have a nice week. Here is a mini test I created to check if the students understood the verbs to be , have got, school items and prepositions of place. It´s easy and fun. Hope you enjoy! "Cups (Pitch Perfect´s When I´m gone)"
Fill in the gaps with the words from the box and sing this funny song. Watch the video from YouTube and practise with the cups with your students in class. Surely they´re gonna miss you when you´re gone...! 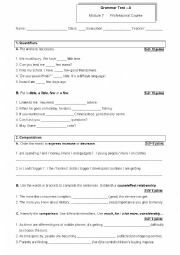 Grammar test about Quantifiers, Comparatives, the gerund, noun formation and clauses of purpose. Here is a grammar test about "Consumer society", which is the theme of Module 7 for Professional courses. Have a nice day! 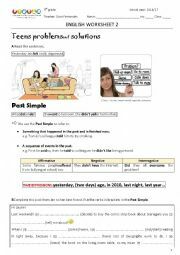 This is a test about regular and irregular verbs in the Simple Past. 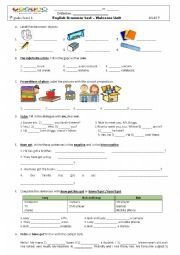 It was basically made from the cousebook Winners - 7th grade - Express Publishing, but some exercises were extended by me.Hope you like it! The Powerpoint consists of clicking on the right relative photo.